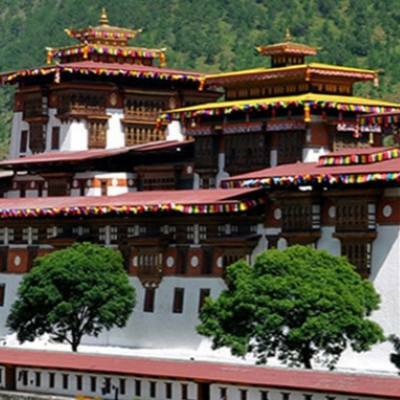 Experience Bhutan will charm you on this wonderful adventure in the little Himalayan Kingdom of Bhutan an escape from your daily routine of chaotic life will revive you with fresh and pure mountain air on this marvelous journey. Experience Bhutan where you can observe the simple life of mountain people the Bhutanese and witness its traditional culture of ancient heritage as it was past hundreds of centuries that still exists in the land of Thundering Dragon with will fascinates you from the start to an end. Probably one of the best trip with Experience in Bhutan as this trip involves interesting tour and sightseeing around most famous historical and religious sites with short treks of few days which allows you to immerse more within local culture and traditional life of rural Bhutanese farm villages, where less number of trekkers visits this wonderful surrounding of inner Bhutan and in the country where you can get view of endangered black necked crane found around only in the beautiful valley of Gangtey and Gogona trek. Starting with flight from Kathmandu to reach at Paro in Bhutan international airport, and then explore the fascinating areas of Bhutan around Thimphu and then trek around green valley and scenic hills ofGangteyandGogona village and crossing scenic high Shobju-La pass at 3,600 m to reachWangdiPhodrangand then towardsChuzomsa via TashilaPass 2,780 m and then with tour of famous Taksing monastery / Tiger Nest. Experience Bhutan completes taking a flight back to Kathmandu or to your respective connecting flight onward home ward bound with great memories and time in Experience Bhutan. 1 Day 1: Arrival in Kathmandu and transfer to hotels.On reaching Kathmandu Tribhuwan International Airport where you will be warmly received by our guide and staff and then transfer you to your respective hotels in the hub of Kathmandu city. First check into your hotel rooms on getting refreshed from the flight and with Jet-Lag, then join with other members of Experience Bhutan for group briefing, where our expert guides will inform regarding your stay in Nepal, hotels, trekking, local lodge and overland drives with do’s and don’ts information, evening welcome group dinner in authentic Nepalese restaurants with Folk cultural programs to entertain you during your meals. 2 Day 2: In Kathmandu with sightseeing tour around world heritage sites.Morning after breakfast leave the hotel for exciting guided sightseeing around Kathmandu where our city guide will lead you to places of interest, Kathmandu a metropolitan city still retains its ancient heritage and varied ancient culture where you will visit world heritage sites around Kathmandu for half day or full day. After an interesting and wonderful tour of ancient historical and religious sites around Kathmandu, with afternoon free preparations for Bhutan trip. 5 Day 5: Drive to Gangtey 2,830 m (Distance180 k.m.) - 05 hrs.After a wonderful time at Thimphu visiting places of interest, probably Thimphu is the only city in the world without traffic lights so far. Morning after breakfast startingan interesting drive to Gangtey, a scenic journey aroundmid-hills with fabulous scenery of green landscapes and traditional villages, on arrival check in a farm house for overnight stop. 6 Day 6: Trek to Gogona village 3,000 m (15 k.m) -06 hrs.Starting morning walk which will be a long day but interesting passing through farm fields and traditional villages and observing mid hills Bhutanese daily life on farms, the trek leads into beautiful alpine forest, then finally to Gogona village with a monastery, overnight in guesthouse /lodge. 7 Day 7: To Khoatokhavia Shobju La at 3,600 m (15k.m) -06 hrs.After a good and interesting time at Gogona, starting early for about six hours trek passing beautiful areas of farm lands with terraces and quaint villages and smiley villagers, then with a steep climb on top of Shobju La pass at 3,600 meters the highest point of this fabulous trips with amazing scenery that surrounds this wonderful ridge top. From here descend towards a wide valley to Khoatokha village for overnight stay at guesthouse / lodge. 8 Day 8: Trek to WangdiPhodrang 14 k.m. -06 hrs walks.From Khoatokhamorning leads on a winding path through pristine forest of rhododendron-magnolia-birch and fir, pines tree lines and passing several typical Bhutanese hamlets to reach WangdiPhodrang for overnight stay in guest house. 9 Day 9: Trek to Chuzomsa via TashilaPass 2,780 mand drive toThimphu - 04 hrs.Last day of the walk to reach a lovely village at Chuzomsa, morning leads through interesting farmlands and villages with views of distant high snowcapped peaks after couple of hours of nice trek and then a climb to the last pass of Tashila 3,780 m of this trek to reach at Chuzomsavillage for the drive back to Thimphu, from here about four hours of scenic and interesting drive to Thimphu for overnight stop in respective hotels. 10 Day 10: Drive to Paro - 08 hrs.Today a long and interesting overland drive to Paro an opportunity to marvel the countryside and rural farm villages, after a great drive reaching Paro with a stroll around the old Paro town with local handicrafts stores. Here an opportunity to watch traditional game of archery the national sports of Bhutan. 11 Day 11: Sightseeing around Paro at places of interestMorning after breakfast, our expert guide will take you on a pleasant walk or short drive with an hour uphill hike to Bhutan’s famous landmark old Taksang Monastery known as Tiger's Nest. A place for retreats and meditation of many Buddhist monks and high priest of Bhutan, the monastery located within the overhanging rock cliff with superb views of Paro town and snowcapped peaks towards north, from here with steep downhill a short drive to visit 17th century Ta-Dzong, later converted into the National Museum in 1967, afternoon free at leisure for stroll around Paro shops and markets. 12 Day 12: Fly to Kathmandu and then transfer to your hotels.Morning transfer to Paro airport for the flight to Kathmandu or to your next respective destination with connecting flight from Delhi-India or back to Kathmandu, during air scenic views of mountains, green scenery of hills and farm fields within nice villages and towns as flight lands back at Kathmandu and then drive within hustle and bustle city life of Kathmandu. On reaching your hotel with time for individual activities and shopping souvenirs. 13 Day 13: Depart for international flight home ward bound or to respective countries.Your last memorable day in Nepal after a wonderful experience on Experience Bhutan with great service of Explorer Adventure, and as per your international flight then transfer to Kathmandu international airport for homeward bound or to your respective destinations. Tour Hour: From minimum 4 to maximum 5 hrs. Highest altitudes: 3,600 m at Shobju-La Pass. Season: March to May and September to November.